When assembling, lead rail of body, slider and lower bearing have been filled up grease, before starting a press every time,to use manual grease station to add in oil regularly. Speed reducer and bearing adopt oil immersion and splash lubrication. The rest point adopt oil gun lubrication. 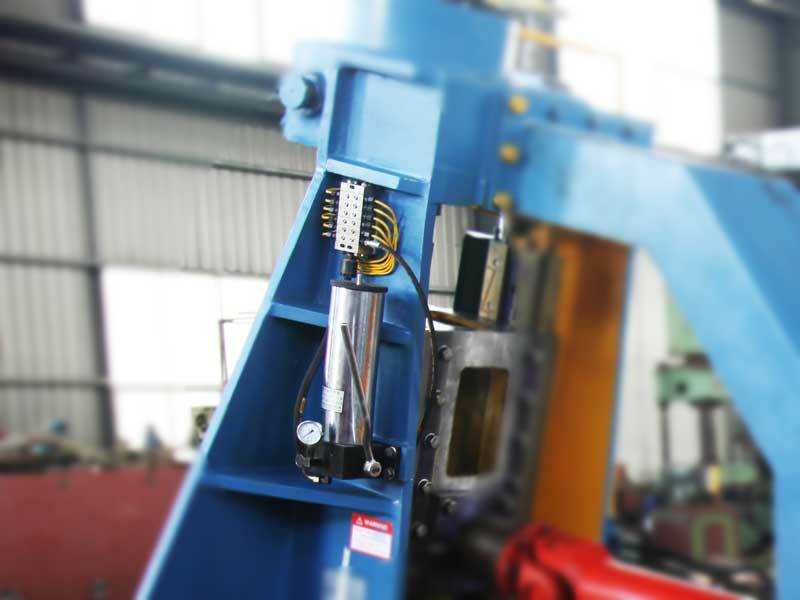 At the process of ring rolling machine, because of being affected by heat amount, the temperature of bearing core roller, main roller and the close-by bearing and roller mechanism will rise gradually, if not cooling in time, their service life will be badly affected. 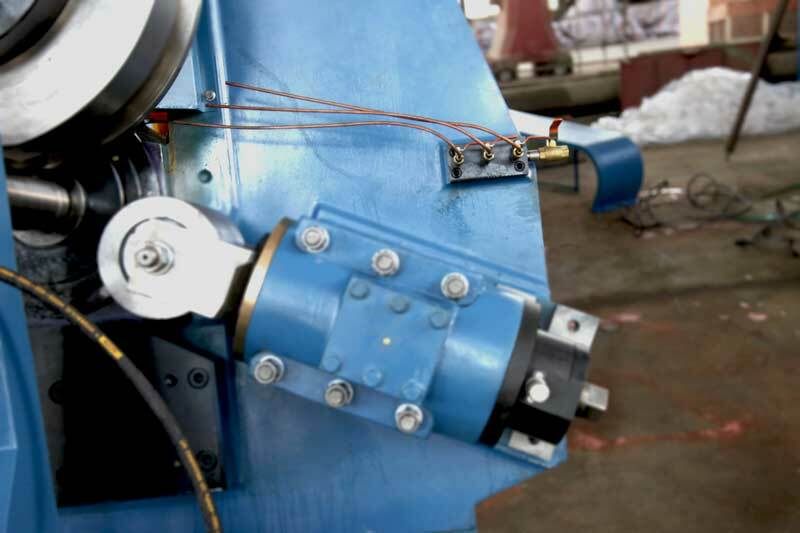 Therefore, in order to cool them, this machine adopts the way of diverting water from exterior, two spray pipes are used to cool the bearing core roller and main roller, its flexible hose part can be used to adjust position and direction, and the flow capacity is controlled by respective valves.